We're very happy to be able to share this course with you, and make it available online here at Lotus Tarot, in its entirety, completely free of charge. I hope you will find the program fun and easy to understand. 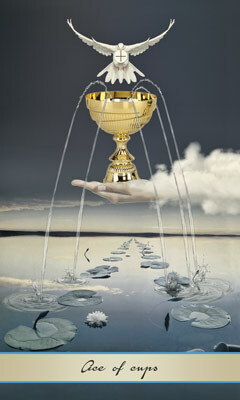 It is designed to ease you gently into the wonderful world of Tarot and help you to start reading the cards yourself. 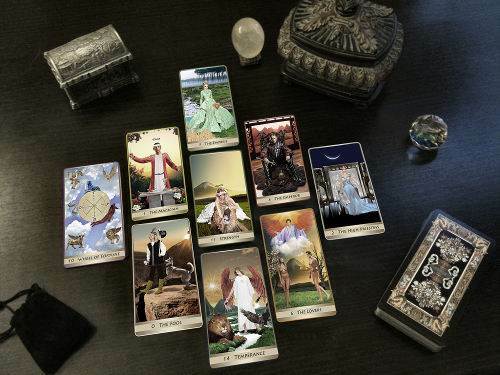 As a minimum, you will need your own Tarot card deck to work with. Obviously our favourite is our very own Lotus Tarot Signature Deck, shown in the image on this page, and designed especially for Lotus Tarot by Angie, based mostly upon the Rider Waite Smith deck (the world's most popular tarot deck). 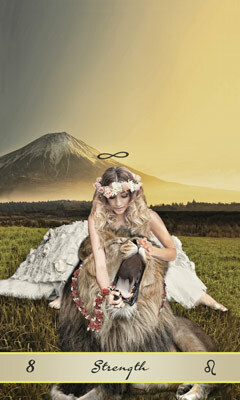 You can view and purchase the Lotus Tarot deck by clicking here. It's also useful to have one or two books to refer to, as this course is a very basic introduction and having other resources will be helpful in deepening your knowledge. You'll find plenty of books available from the online vendors, your local bookstore and even your local library. You'll also find hundreds of articles about the cards written by our talented in-house professional readers by clicking here. Don't feel obligated to find or buy any specific books and decks though, as it's much more important you work with the resources you feel most drawn to. However, when you're getting started, it's probably best to choose a deck that uses commonly agreed upon standards for numbering and symbology. There are thousands of decks available nowadays, and a great number of them are what I'd consider 'boutique' decks that have been designed with alternative interpretations in mind, to suit the artist who created them. If you learn tarot using a deck that has its own unique interpretations and imagery, it may be difficult to transition to other decks later on. We've set up a schedule of weekly lessons. They are all available right now, here on Lotus Tarot, so feel free to work at your own pace if you want to go faster. However, it's important not to rush your adventure into the world of tarot, so stick with the weekly schedule if that works for you. The lessons consist of study material, practical exercises and a few multiple-choice questions at the end of each, so you can test your understanding and retention of the lesson before moving on to the next one. Remember that the Pleasure of Tarot is only a basic introduction to the Tarot cards, so your learning will certainly not stop here. Hopefully by the end of the course, you'll have developed a taste for reading the cards and will be inspired to continue to work on your skills. It's worth the time and effort to develop this truly wonderful gift that you can share with those you love. Click the next button below to begin the first lesson, or navigate to another lesson using the menu.